Aaand, this is what happens when Posh Spice and David Beckham make a baby and time passes. 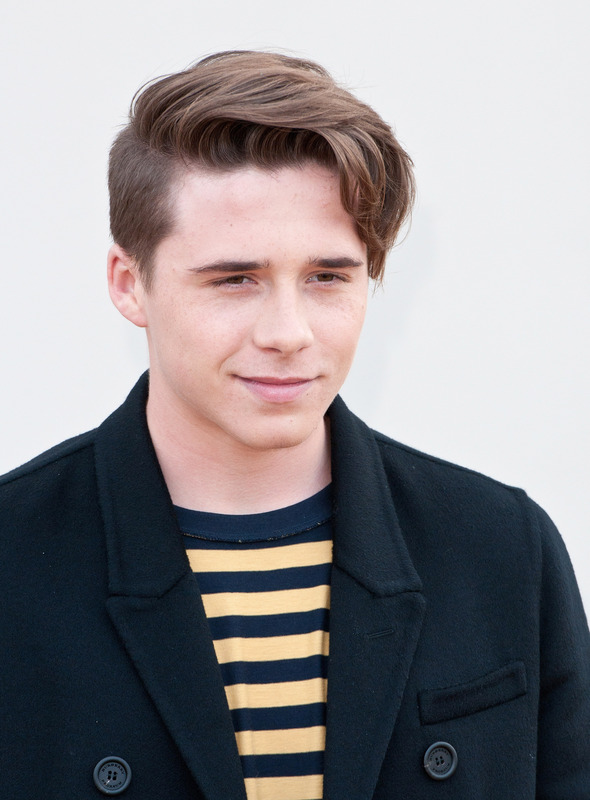 Brooklyn Beckham has made his modeling debut, and he certainly takes after his parents. In other words: he's mastered that stare-at-the-camera-and-smolder move. But hold yourselves: he's 15. Now, to reiterate — while he is just 15-years-old (and no, I'm not about to call a 15-year-old hot, because no), it's easy to say that he is definitely a good looking teenager. Did you expect anything less from the son of two very, very, very good looking folks who have a firm grasp on the fashion industry? Anyway, it looks like this modeling gig is not going to be his last (after all, he graces the pages of the UK's bi-annual magazine Man About Town quite naturally), and it's pretty much in his bones. Dad David Beckham has been the face of H&M's men's underwear line, David Beckham Bodywear, mom Victoria Beckham has quite the fashion career (and she also never smiled in pictures, even when she was at the height of her Spice Girls fame — her boy's totally got her signature pout), and brother Romeo appeared in a 2012 Burberry campaign. Did you expect anything less? Anyway, check out some of these pictures. Mom and Dad must be so proud!